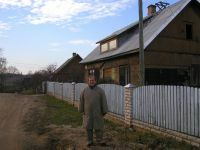 On September 3, 1927, whe he was living on Matisa Street, 36 in Riga, he obtained a birth record. 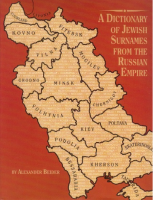 The record stated: 2 March 1880 at the citizen of Rezekne, Genech Girsh Leizerov Gurvitch and wife Basheva born 2 sons: Aba-Rafael and Nota. Nota is a Polish form of the Bible Name, Nathan or Hebrew name Nosn. Horwitz Brothers and Sisters: Morris, Florence, Ida and Bessie with their older brother Nathan just before the they left Europe for America. 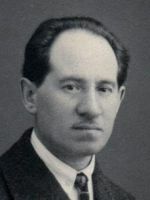 Nathan Gurevich- photo taken in Riga- Latvia before WWII. 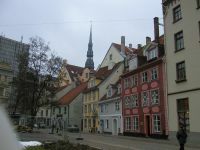 The street is still in Riga where the photo was taken. Nathan Gurevich and his family- photo taken September 21- 1922. Nathan Gurevich - This is the back of the photo in the army over coat. It says that he just entered the army in 1902.